1. 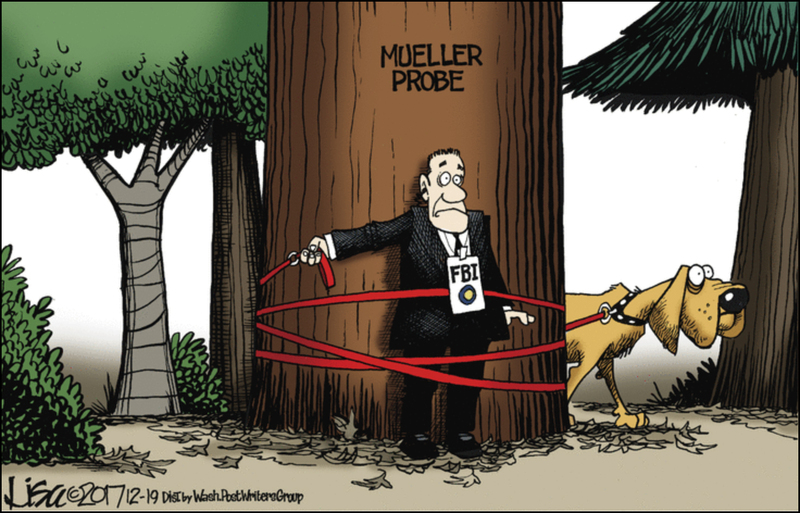 What is the main idea in the three cartoons by Lisa Benson? 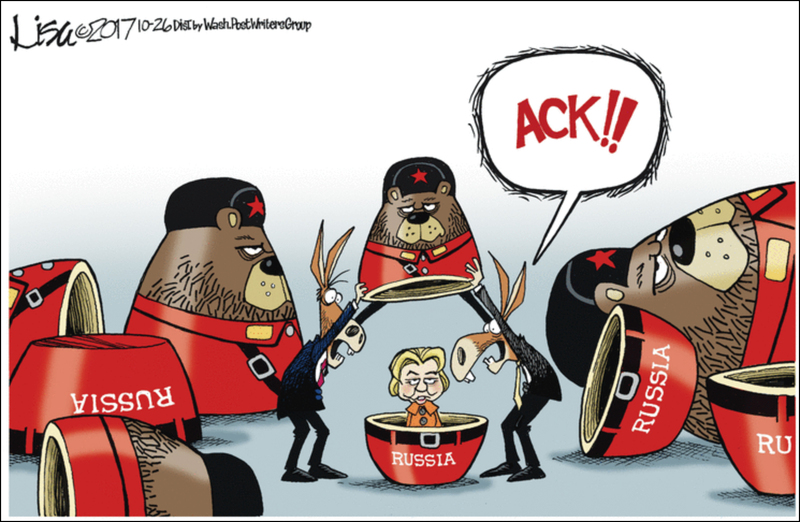 What is she illustrating about the investigation into the accusations that President Trump colluded with the Russians to steal the presidential election? “Did Russia actually “hack” the 2016 presidential election? No, and the use of that term to describe what Russia did needs to stop. The Russians hacked a few computers, but they did not “hack” an election. The media’s persistent insinuations otherwise are leading millions of Americans to believe that the Russians actually meddled with the election process itself, including with voting machines. There is zero evidence that occurred.” What is your reaction to this? 1. 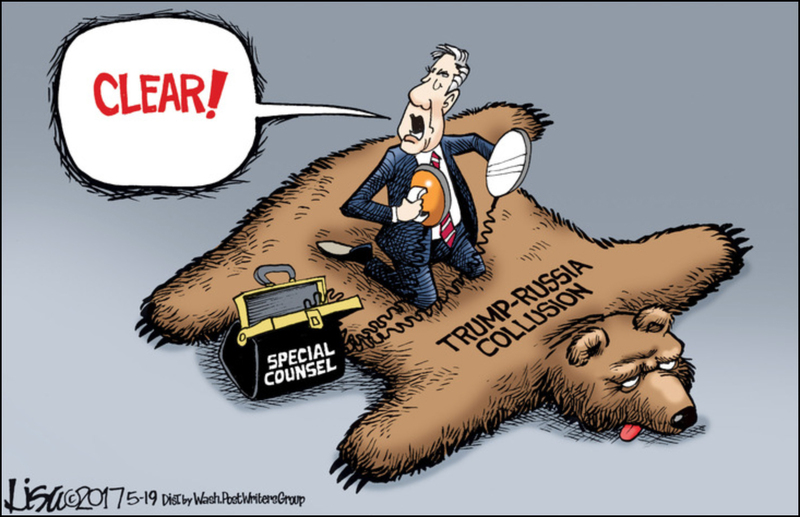 After spending over a year and many millions of dollars investigating alleged collusion with Russia, special investigator Robert Mueller has found no evidence that President Trump colluded with the Russians to win the presidential election. Instead, he has found that the Clinton campaign and the Democrats possibly meddled in the election. (See Thursday’s Editiorial “The Trump-Russia Collusion Narrative is Dead.”).